$MDGS was showing a large gap premarket and immediately caught my attention because it was also the same day the stock had a 4-to-1 reverse split. This stock has recently run up but is consistently on a down-trend, so I kept the chart up to see if any opportunities would come. On this reverse split stock there was no real resistance level to work off of until just after the open. During the first minute this stock was halted and when it re-opened there was a big gap that would likely fill this same day. 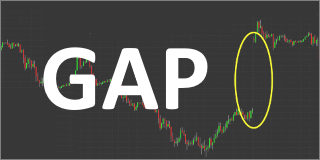 So my strategy was to get a good risk:reward entry with the target being at the gap. After $MDGS reopened from the halt it moved up fast with decent volume and created a new high. I admittedly jumped the gun and pulled the trigger during this first spike. FOMO got me but I lucked out with my risk level at $9.50, it never made it that far and I managed to get some great exits.